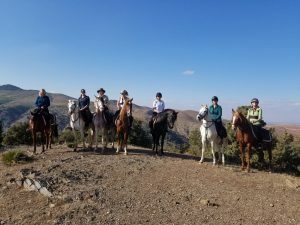 As you would expect from such a long standing and reputable company as Unicorn Trails, we offer quality horse riding holidays to what are probably considered to be the more traditional areas of the world - North America, South America, Western Europe, Eastern Europe, and Africa. However, for something really different why not try one of our holidays to the areas we collectively call ' And Beyond'. Here you'll find wonderful adventurous rides often in remote wilderness with magical scenery and interesting cultures. 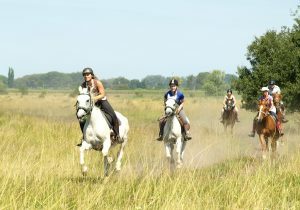 We offer at least one equestrian holiday to the following destinations. Click on a link to see to the relevant web pages. To create great photobooks of your riding holidays click the link below. They're really easy to make and look superb. We're great fans and have our personal "travelogue" books. We even have mugs of ourselves riding in various spots around the world! Short break riding holiday on Mawari horses through the Aravalli Desert and hills visiting Ranakpur Jain Temples, Kumbhalgarh Wildlife Sanctuary and Fort. 2019 - 22-26 Jan, 12-16 Feb, 12-16 Mar. Riding Ability Required: Walk, trot, canter, gallop on fit responsive horses. Transfer: From either is a 3hr drive, cost in 2017/2018 Rs5,000 (approx. US$75) each way payable onsite. Visit and stay in some of the finest Forts and Palaces of Rajasthan over the Christmas and New Year holidays. After a fantastic ride on Christmas Day you spend the night in a luxury tented camp with a bonfire under the stars, while the horses rest nearby. The Marwari horses are bold, fit and fast, making them the perfect companions for your journey. Accommodation and service levels throughout this holiday are second to none, this is a real luxury experience. Many of the hotels are converted palaces and mansions, and even when camping in remote areas you can be sure of a hot shower and a comfortable bed every night. Transfer: 2018/9: All road transfers from meeting point are included. Internal airfare Jaipur/Delhi is not included and is currently estimated at US$154. Transfer time is approximately 45 minutes at peak times and 25 minutes for early morning/late night arrivals. Adventurous camping trail in Ladakh region of India at high altitiude in the foothills of the Himalayas, visiting remote monasteries. Suitable for adventurous beginners as the pace is slow. Transfer: Included from meeting point. Transfer time is approximately 15 minutes. Visit the colourful Naguar fair on horseback. Ride through Rajasthan on fine Mawari horses, for intermediate riders onwards. Transfer: Road and train transfers included from meeting point. Internal airfare Jaipur Delhi is not included and is currently estimated at US$220 (2019). See rural India from the back of warmblooded Marwari horses, stay in fine forts and palaces, visit colourful fairs and see the sights of Jaipur and Delhi. For those who like adventure with comfort. Transfer: 2019: All road transfers included. Internal airfare from Jaipur to Delhi on Day 12 - currently $154 per person.